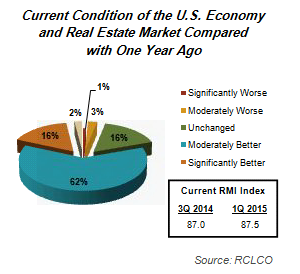 As we discussed last week, RCLCO’s 1Q 2016 Sentiment Survey found that most respondents reported positive changes in economic and real estate conditions over the past 12 months. Looking forward, a minority though increasing share are predicting stagnant or declining real estate market conditions, even for as soon as the year ahead. 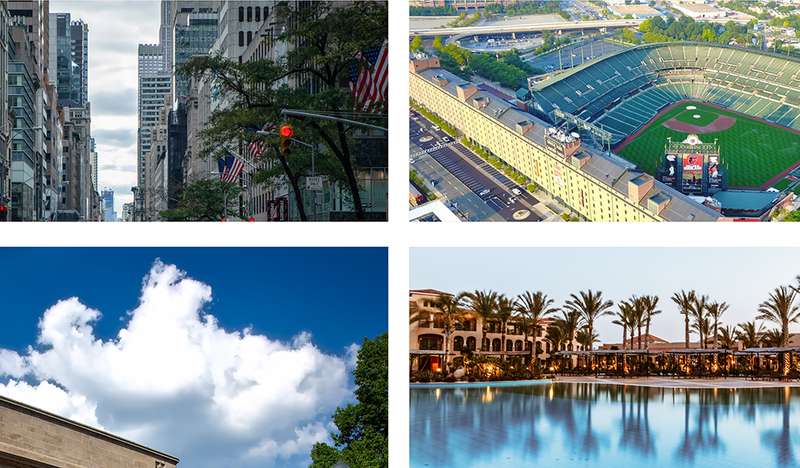 In this Advisory, we take a closer look at sentiment by product type and respondent predictions about the timing of the next real estate downturn. Sentiment by product type is generally reflective of sentiment for the economy at large. 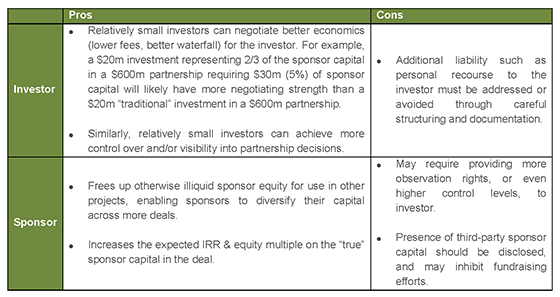 Most product types have already moved into the stable phase of the cycle: they are perceived to have remaining upside, but the bulk of the expansionary period may already be behind them. 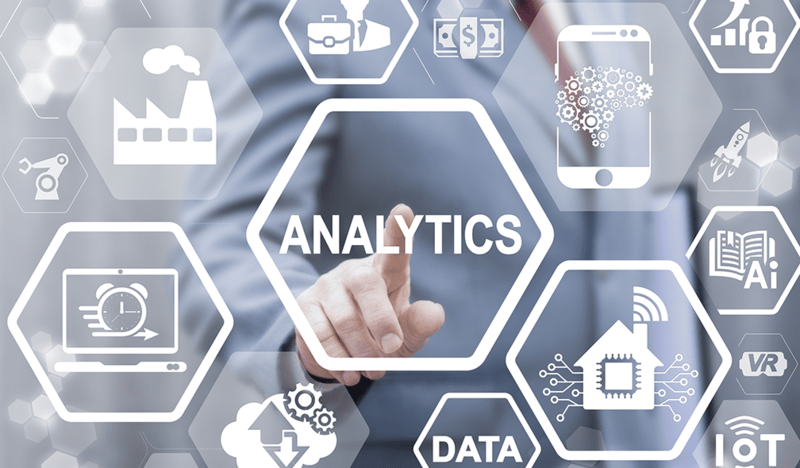 The survey consensus is that over the next year every product type will advance through the cycle at a faster rate than they have moved so far in this cycle. 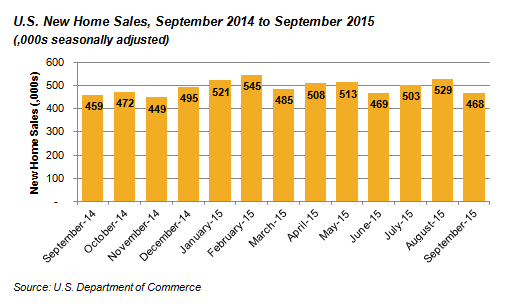 This signals a meaningful change in prevailing sentiment compared with our 3Q 2015 survey. Respondents are now more hesitant to predict that real estate products will continue to remain comfortably in the stable phase, as has been respondent sentiment since 1Q 2014. 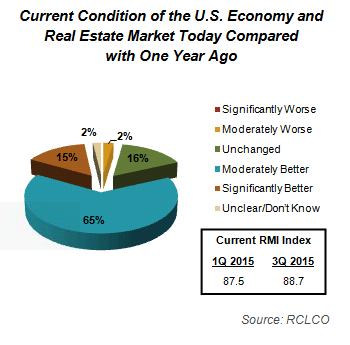 Even though most respondents predict advances into the mature stages of the cycle, a small minority of respondents are anticipating “real estate downturn” conditions one year from now. 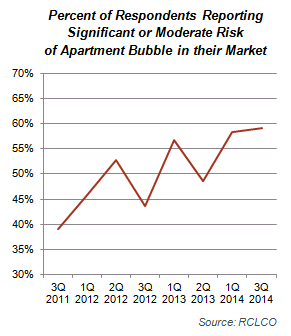 Multifamily presents an interesting case study in processing these sentiment results. Rental housing continues to be the only product in the late stable phase of the real estate cycle, where it has been since our 1Q 2014 survey. It edged up slightly within the late stable phase since 3Q 2015, but is not as advanced today as respondents anticipated it would be one year ago. This probably reflects a recognition among industry practitioners that market conditions have been maturing over the past two years, but little sense that the fundamentals are likely to turn negative in at least the next year. 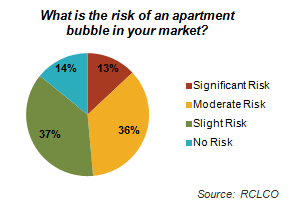 Despite its long run in the late stable phase, survey participants believe that the risk of an apartment bubble remains moderate but steady, with only 17% perceiving a significant risk. 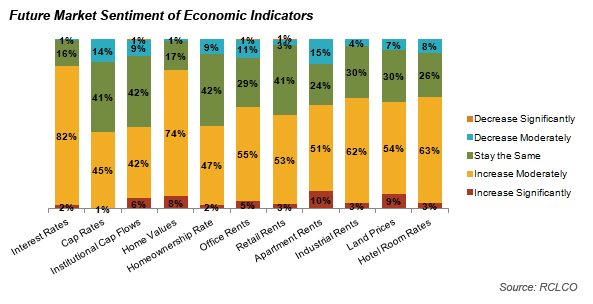 Most respondents (87%) expect apartment rents to continue to increase or stay the same in 2016. 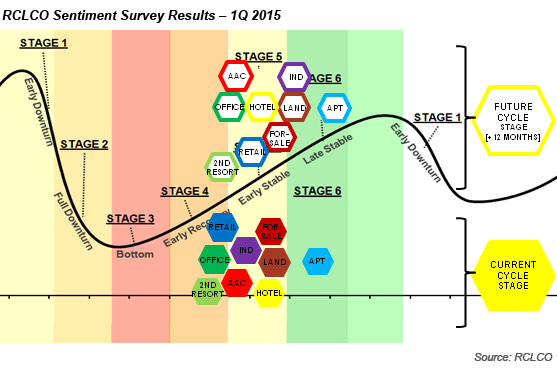 There is a very small but growing sentiment that apartments are entering the early downturn phase in some markets (12% this quarter, versus 8% in 3Q 2015), but the vast majority of respondents continue to classify this property type as being on the upward side of the supply/demand cycle. 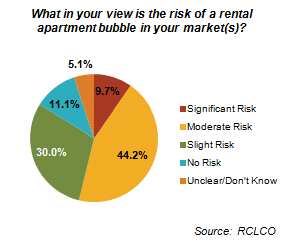 As with other real estate products, respondents expect that over the next 12 months apartments will advance through the cycle at the fastest rate seen this cycle, but a large majority—76%—predict that apartment fundamentals will remain favorable for at least another year. 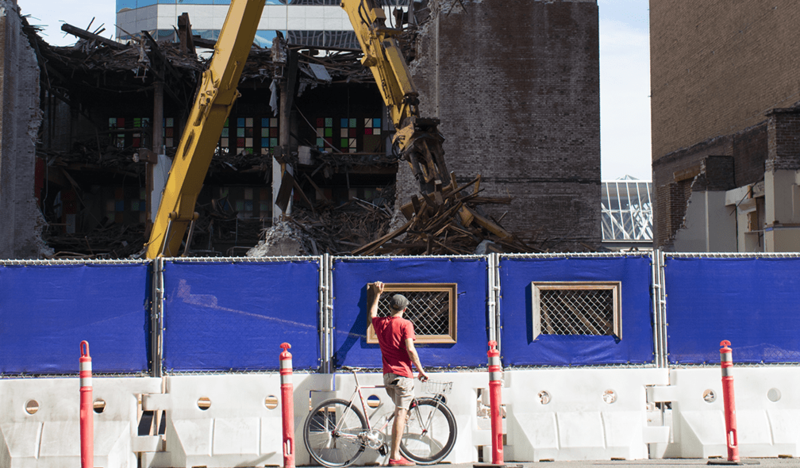 What is new is that a growing, albeit still minority share at 24%, anticipate that apartments will have entered the downturn stage of the cycle by this time next year. Resort Finally Enters Early Stable; Trailing Land Uses Running Out of Time? Resort/second homes, which has seen the most lackluster recovery of any real estate sector, is another area of shifting sentiment. Respondents indicated that the resort/second home market improved more than any other product type since our 3Q 2015 survey. 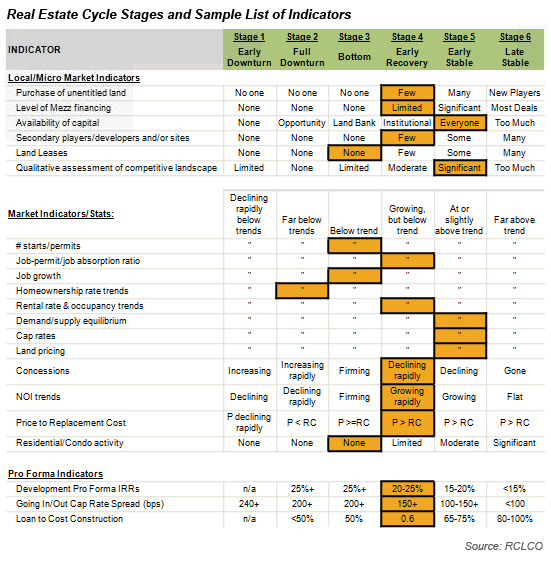 The responses suggest that this land use finally moved out of the “early recovery” phase and into the “early stable” phase of the cycle, meaning that price growth for the foreseeable future should become more robust and investment capital allocated to this space should get placed more easily. 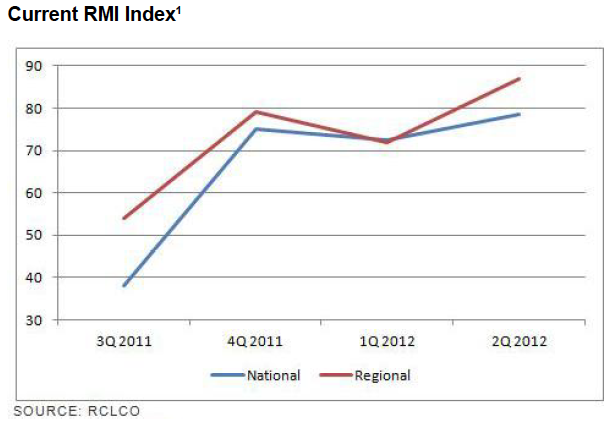 The challenge, of course, with a late recovery relative to the overall economic cycle, particularly for those considering development or repositioning strategies, is that the window of opportunity for resort/second homes and the other lagging land uses, such as office and condominiums, may be narrowing. 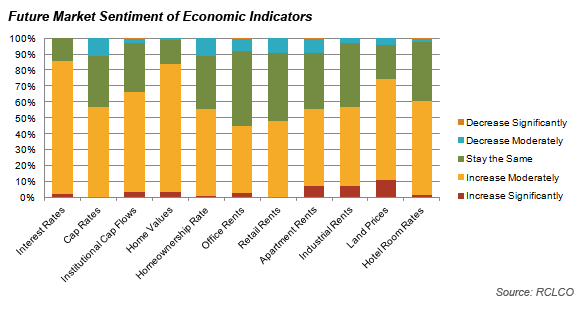 A sizeable share of respondents continue to report that these land uses are stuck in the “bottom” phase of the cycle (10% for office, 9% for resort/second home), with limited investment activity and lower income growth and value enhancement than other sectors. 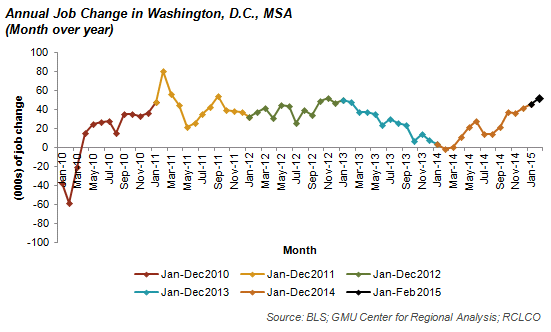 When Will the Next Real Estate Market Downturn Begin? 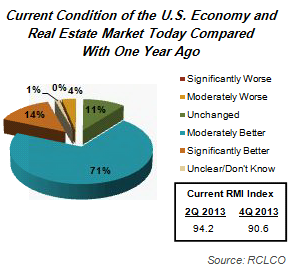 It is clearly a question on everyone’s mind: when will the next real estate downturn begin? 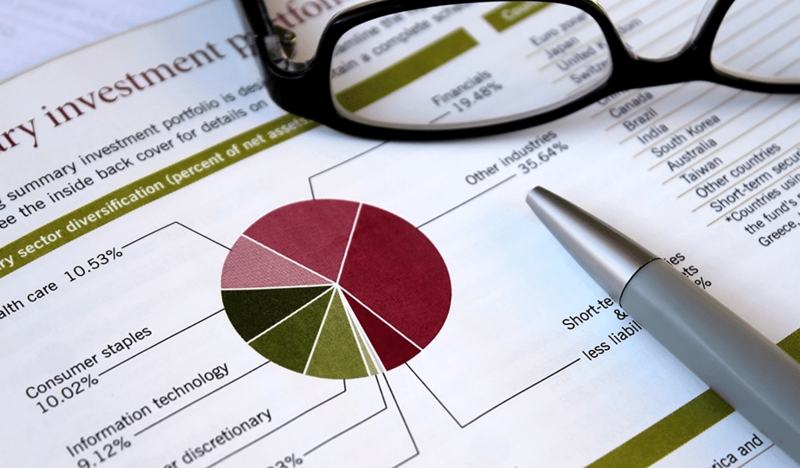 Given the cyclical nature of economies and real estate markets, history tells us it is probably less a question of “if” than “when.” As of this latest survey, very few respondents believe there will be a downturn this year. 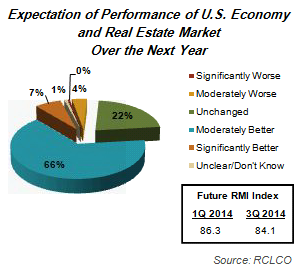 Rather, a majority of respondents continue to anticipate a 2017 or 2018 start to the next real estate market downturn. Compared with six months ago, the share of respondents not expecting a real estate downturn until 2019-2020 has shrunk substantially, with these participants perhaps now more inclined to believe a 2018 downturn is the most likely. 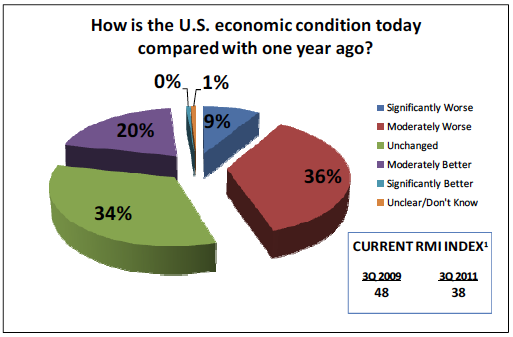 Furthermore, a somewhat surprising 17% of respondents now believe the next downturn has already begun (which is not true in most asset types and in most geographic markets, and certainly not for the overall economy) or will begin this year, as compared with 7% expressing this opinion in the 3Q 2015 survey. 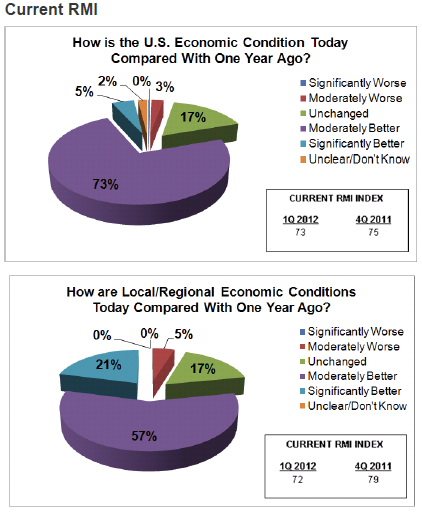 Respondent sentiment about the real estate year ahead aligns with the results of the latest Wall Street Journal Economic Forecasting Survey with regard to the economy as a whole, which indicates consensus among the 60 economists surveyed that GDP growth will remain positive through 2016. 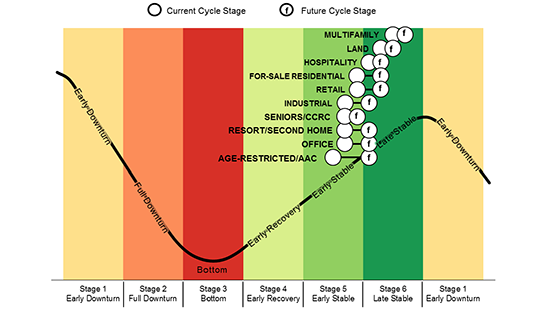 Additionally, if the length of previous economic cycles is any guide (and it should be stressed that historically the cycle frequency has been highly irregular, and recessions are not caused by old age), the expectations of a real estate downturn in the next one to two years would not be illogical. The U.S. is approaching the 80th month of economic expansion in the current business cycle, which began with a return to GDP growth in June 2009, putting it only 15 months shy of the average expansionary period of the three most recent cycles, as demonstrated in the chart below. 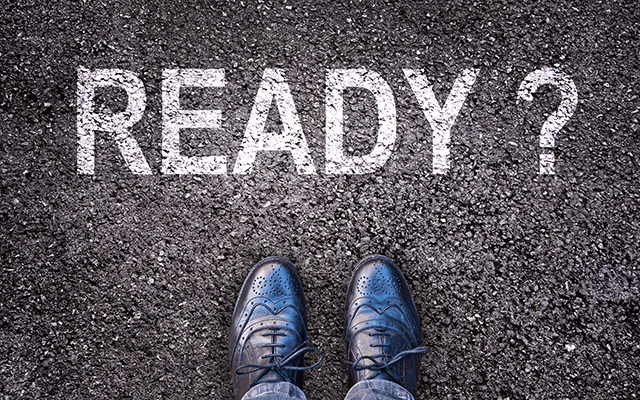 Respondents’ more cautious predictions are beginning to show up in their expectations for how different real estate products will perform over the next 12 months. 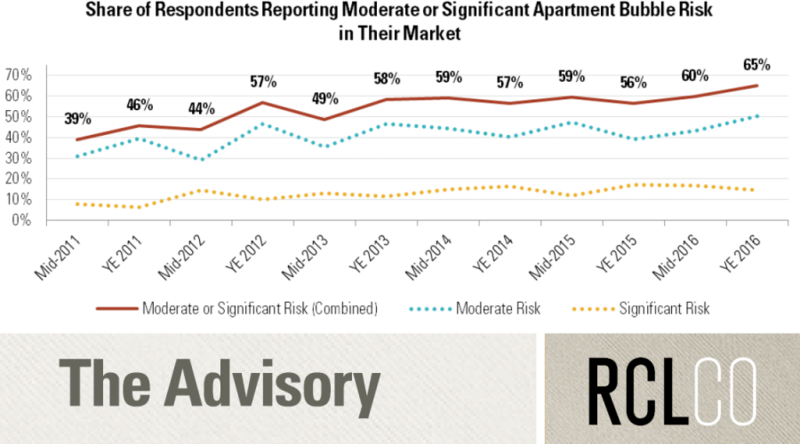 As the product leading the way in the current cycle, apartments are seen as the most at risk of entering the downward phase of the cycle within one year from now. Still, a minority—roughly 25% of respondents—now believe apartments will be in early or full downturn in 1Q 2017, while three-quarters believe they will still be in the stable, upward phase of the cycle a year from now. 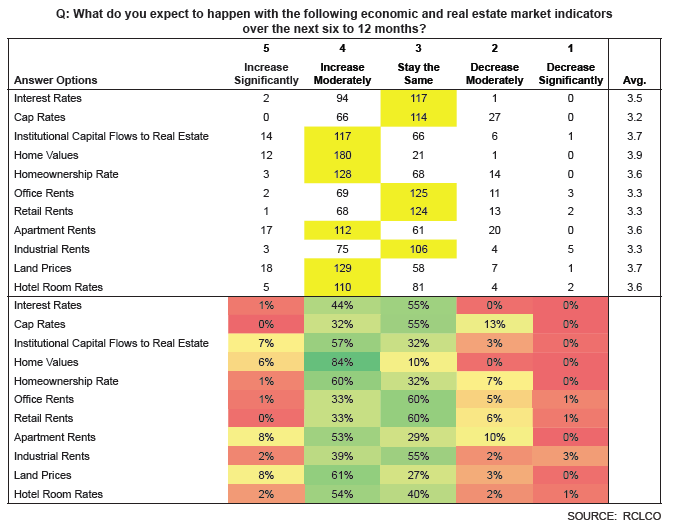 This latest survey reflects a partial and still slow, but nonetheless significant, shift in sentiment about where we are in the real estate cycle relative to six months ago. 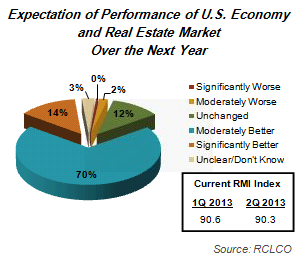 While respondents do not believe there will be a real estate downturn in 2016, they are more cautious about 2017 and beyond. It is impossible to predict a downturn’s timing or intensity with any certainty, but we do know that we are in the mature stages of the present economic cycle, and thus the probability of a downturn is increasing. 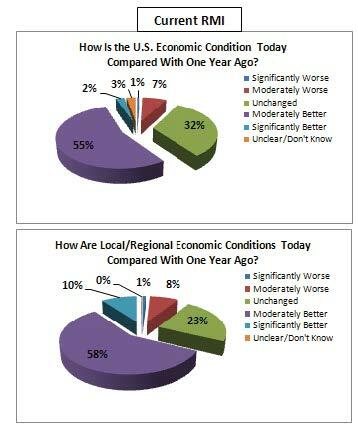 Given all that has happened in the last six months—the continued fall in commodities prices, terror attacks in Paris, the discount rate hike, Chinese economic woes, and now the bearish stock market at home and abroad—it is little wonder that more respondents are seeing macroeconomic and real estate conditions as less stable than they were before. 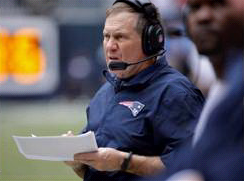 It is important to remember, though, that the Sentiment Survey is a barometer of sentiment, not in and of itself a forecasting tool. 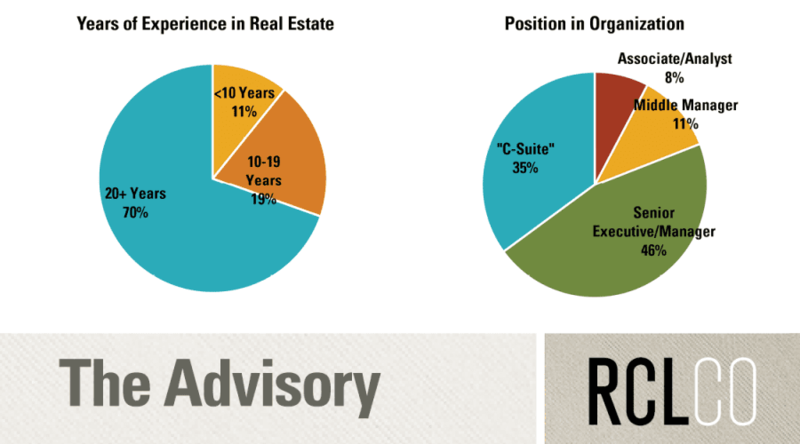 What is RCLCO’s perspective on the next real estate downturn and our recommendations to clients regarding strategies they should be employing to prepare for, and take advantage of, the next downturn when it does occur? Stay tuned for our next Advisory to find out. 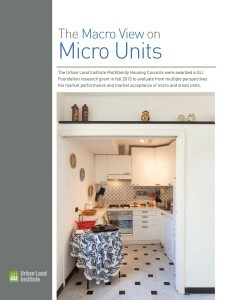 Article and research prepared by Len Bogorad, Managing Director, and Clare Healy, Senior Associate.